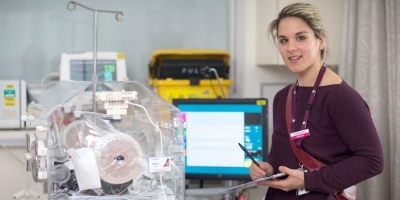 The Women’s is committed to creating a research environment were excellence can flourish and students can undertake cutting edge studies designed to improve the health and wellbeing of women and newborns. Given our unique environment as a research hospital, where scientists and health professionals work together, the Women’s offers students a range of innovative bench-to-bedside projects. Our work is focused mainly across our ten research centres - Women’s Mental Health, Women’s Infectious Diseases, Pregnancy, Newborn, Midwifery and Maternity Services, Gynaecology, Women’s Cancer, Allied Health, Anaesthetics and Family Violence Prevention. Most of the students at the Women’s are enrolled through the University of Melbourne, but some are from other universities from across Australia. 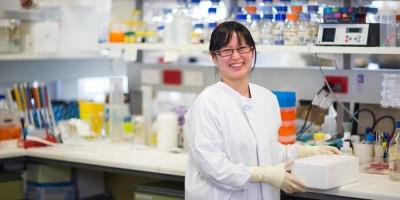 We offer a unique experience for students with a wide range of laboratory, translational and clinical postgraduate research projects. Most students are enrolled through the Department of Obstetrics and Gynaecology, University of Melbourne. Students can also enrol through another department or university if their supervisor is affiliated to a different department or university. At the University of Melbourne, the Doctor of Philosophy is the University's premier research training qualification. Under the guidance of a principal supervisor and supervisory panel, candidates undertake independent research on a particular topic expected to make significant and new contributions to their chosen discipline. Other postgraduate degrees are available. For details, please visit the postgraduate degree programs page on the Melbourne University website. We offer a unique experience for students with a wide range of laboratory, translational and clinical undergraduate research projects. 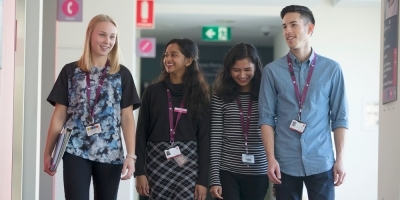 Most students are enrolled in the Department of Obstetrics and Gynaecology, University of Melbourne through the Royal Melbourne Hospital Honours / Masters of Biomedical Science (MBiomedSc) programs. At the University of Melbourne, the Honours program has two components. The smaller component of theory deals with current concepts of human disease. The larger component involves independent medical research on a particular topic under the guidance of a supervisor/s and completion of a thesis. We recommend that you speak with potential supervisors from our Research Centres about current projects that are available. Also see the information about current Honours projects at the University of Melbourne. To apply for studying through the Department of Obstetrics and Gynaecology, University of Melbourne, please visit the web page. If your supervisor is affiliated with another department or university or institution, speak with your supervisor about how to apply.